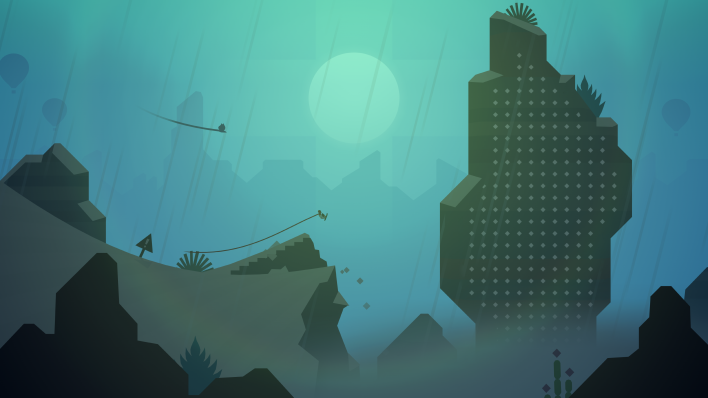 Alto’s Odyssey, the sequel to hit mobile game Alto’s Adventure, will release for iPhone, iPad and Apple TV on Feb. 22. To celebrate, the developers at Team Alto have released a launch trailer that shares some of the new environments and mechanics players must master. As seen in the trailer above, there will be four main environments to snowboard through. There’s a canyon-Western look, a sunny desert, a sandy beach and something that looks like it’s inspired by India, complete with temples and monkeys running around. All locations seem to feature hot air balloons, both in the background and as interactive objects that players can bounce off of to keep the momentum of a jump going. The core gameplay of Alto’s Adventure of snowboarding down an infinitely long mountain, performing flips and collecting coins looks like it remains intact, but a few extra mechanics have been added for the sequel. 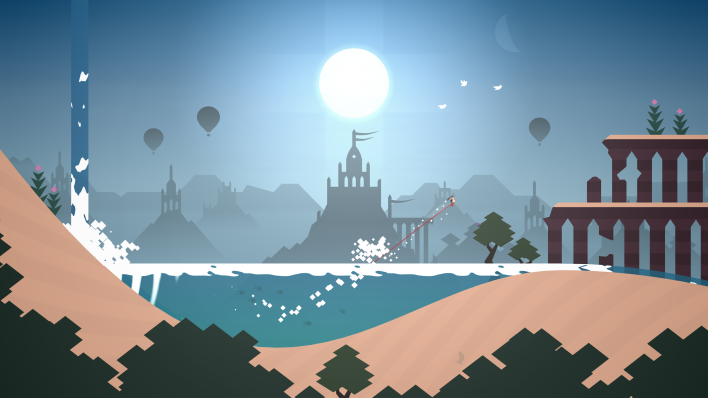 The beach levels add water that, according to the trailer, can either be skimmed across or plunge into. If players do fall into the water, their rotational momentum continues as they’re carried forward, so they can use the pools of water to finish tricks they’d normally crash on while performing. The desert levels look like they have added a tornado/dust devil type of mechanic as well. When players run into one of these cyclones, they will get immediately boosted into the air without the need to jump. These dust devils will probably be crucial to linking together long runs and completing objectives on the desert maps. The other maps may have new mechanics as well, although they aren’t as clear in the trailer. It looks like it might be possible to ride along the walls of the canyon level, as seen at around the 1:05 mark of the trailer. Another mechanic involving grindable lines falling apart also looks like a possibility, but it’s unclear how it might be used. 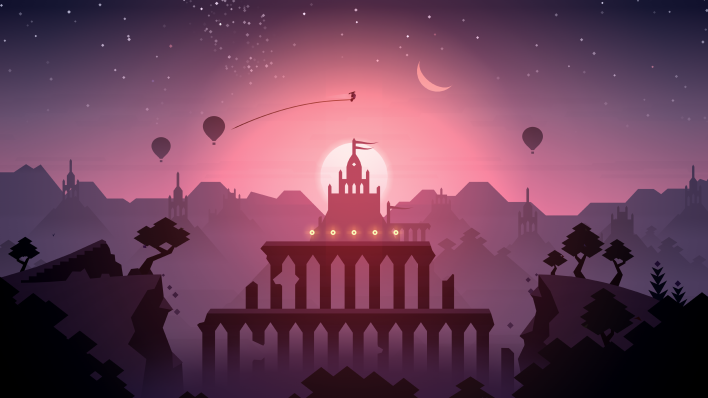 Alto’s Odyssey releases for iPhone, iPad and Apple TV on Feb. 22. Pre-orders are available now on the App Store. No release information for Android devices has been mentioned, but a port will likely come in the next few months. So what do you think? Are you excited to play Alto’s Odyssey when it is released next week? What other mobile games would you like to see get a sequel? Let us know your thoughts in the comments section below. Does Friday The 13th: The Game Update Fix Jason?